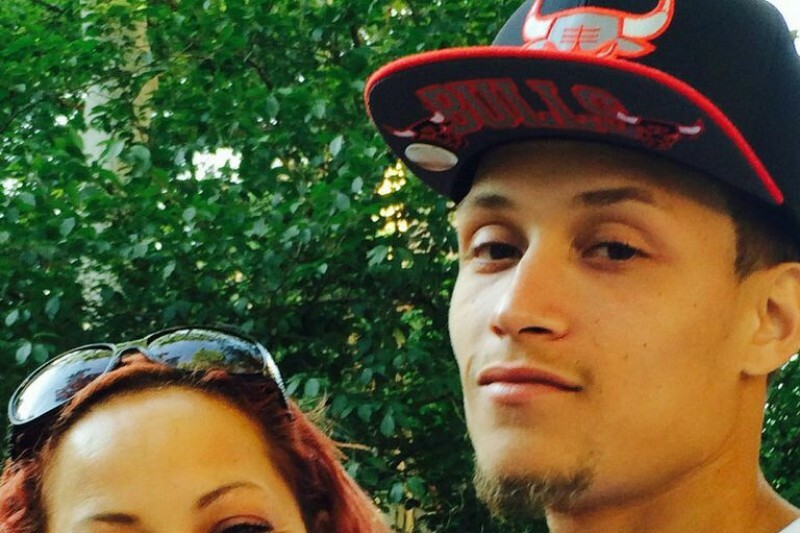 Ramsey Orta was brave and filmed a crime. Normally, an act like this would be useful to and praised by police. Not in this case, because the crime was committed by the police...and now Ramsey is being procecuted for it. What the money will be used for: Bail is $16250, then fees to help the family then lawyers fees. With your help, we can set a legal precedent protecting citizens that film police brutality. The support we are receiving here on GoFundMe is amazing! God is awesome! By standing up and supporting Ramsey Orta we can make a big difference in how our justice system handles citizens taping police brutality. We will keep standing up until justice is served for Ramsey. No justice, no peace. Things are looking awesome! Thank you ALL. Keep sharing this campaign and spreading Ramsey orta story far and wide !!!! Update !!!!! Ramsey Orta is looking for work, as we all know Nypd has dragged his name threw the dirt and looking for work would be even harder for him. This is what Nypd wanted to make it where Ramsey Orta can be stuck in limbo where it's difficult for him to get a job. We are here fighting for justice and Ramsey Orta is trying to gain back his life, anyone know of any position that Ramsey Orta can apply too please inbox me on my Ramsey Orta Facebook " lisacmercado@yahoo.com. Share this campaign far and wide spread Ramsey Orta story .keep it alive and fresh as he is the people's hero . We are the freedom fighters let's fight together as one together we can't be defeated !!!! Update!!!! 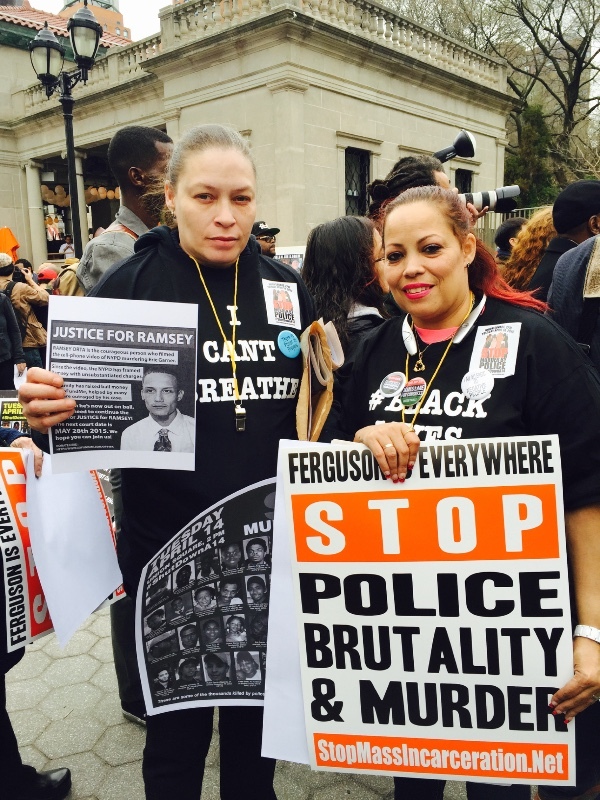 Today rally for Ramsey Orta at the Fredrick Douglas statue was amazing. The amazing support of the community the freedom fighters was breathe taking . We want to thank the world for standing up for Ramsey Orta . for bringing him home ,for standing up for him. And for the amazing support on this campaign the donations are wonderful. Ramsey Orta lawyers William aronin and ken Perry also joined Ramsey and his family at the rally , best lawyers ever William aronin who is a amazing speaker/ lawyer always knows what to say to Ramsey Orta . as well to all the civilians who support Ramsey Orta. 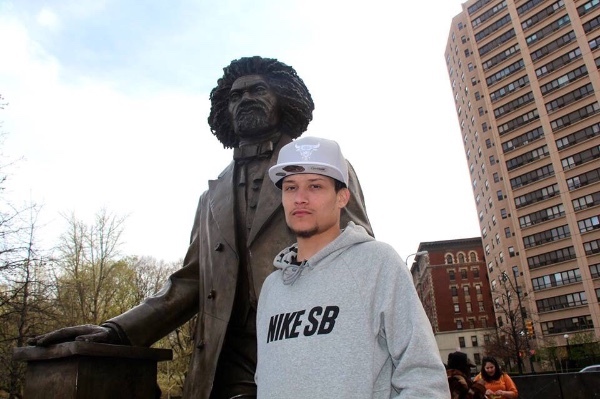 with this support and With everyone uniting as one we can beat these bogus chargers ,and get the system to just leave Ramsey Orta alone let him live his life .Ramsey didn't intentionally want to ruin Nypd Ramsey Orta saw them harassing Eric garner ,and soon knew things weren't heading the right way. And Ramsey decided to film Nypd hoping they stop but Nypd didn't care about a video being recorded and still choked Eric garner till he stop breathing as Eric garner was going down he yelled "I can't breathe "!!! And he said it till he died. Why prosecute Ramsey Orta because he exposed a murder a crime? What's right is right and killing our people isn't right . Our children have voices too ,and "black lives matter "!!!! We just ain't sitting down we not going to stop till justice is prevail till our people are free!!!! Hands off Ramsey !!!! Please keep standing up for Ramsey Orta keep sharing this campaign let's keep this campaign alive . Because as we all know Nypd is piss off because of this Gofundme acct , they didn't expect the world to do as you all are doing they thought they were going to hurt Ramsey Orta and get him away and shut him up. But since you all said NO it just showed them that we are a army too. This stops today. Next is the struggle we all will face with Ramsey to fight the system together we all will get justice let's fight this war !!!! Thank you all for the amazing support that just keeps pouring in for my nephew legal defense as well as for him to get back on his feet and gain back all the lose. That Nypd made him and our family loose. Many don't know this but as a result of getting Ramsey Orta to a safe place his mom had to give up there home and now staying in someone's house till they can get a new apartment. The first week Ramsey Orta was falsely accused for the second time their home was robbed and everything they own was taken. A police report of cause was made but guess what it's Ramsey Orta the one who filmed Nypd commit a murder and expose them so they never came to investigate the robbery. Once again it's punches being thrown at Ramsey Orta ,and our family. But with all of you behind Ramsey Orta I know we all will keep this fight going till justice is prevailed. 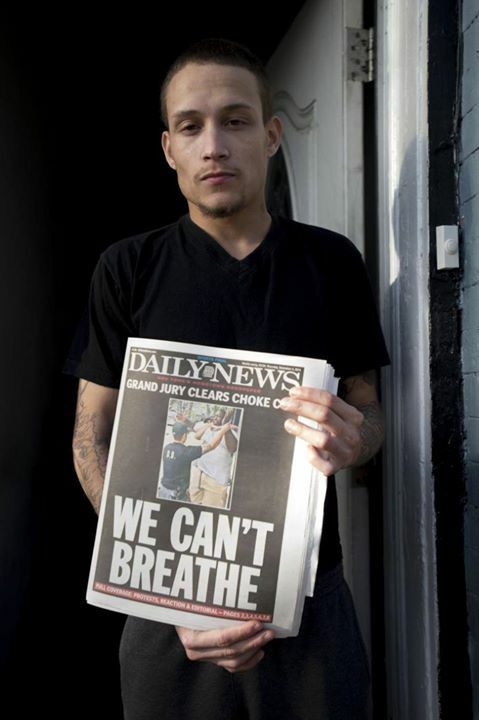 How much more can Nypd do to Ramsey Orta ,and our family. we will keep fighting we will not stop till our people are free!! till the deaths stop ,till the brutality stops ,our children have voices too. Please keep sharing this campaign spreading Ramsey Orta story far and wide !!!!! Ramsey Orta is not alone he has the world behind him!!!! 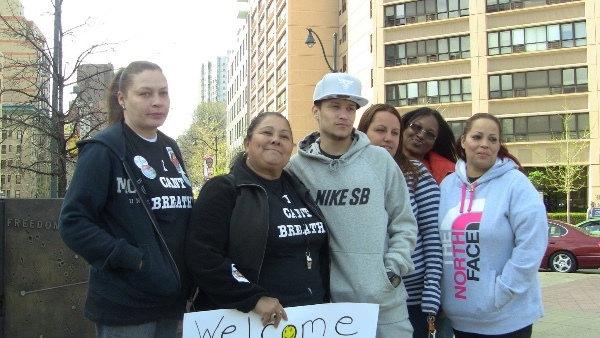 We want to thank everyone who is standing up for Ramsey Orta, first threw his struggle to be free from Rikers island now threw his struggle to fight this corrupt system. Please excuse my writing at times I'm doing voice type, as I can't stop thanking you all, even when I'm driving I think of all of you the supporters the freedom fighters and every second of the day I thank the high almighty for all the blessings he is allowing my family to have threw the millions of supporters who keep standing up for my nephew. Ramsey needs all of our support and he needs everyone to keep him safe !!!! Please, dear God, don't blow that money on a lawyer. You will find plenty of great lawyers who will work on a contingency if your civil rights case is strong, because you can win a $100K+ judgment and give the lawyer a huge fraction, like half after you win. If your case is not strong (eg, if the DA really has a solid gun charge on Ramsey), then just cut your losses and avoid trying this in the courts. Instead, HIRE AN EXPERIENCED FULL-TIME ORGANIZER who has a track record of successfully changing state and local statutes, as well as the skills to continue to fund-raise to sustain his/her own position for the coming 3-5 years -- time that you are easily going to need to changes these laws. This is no weekend hobby. This takes a sustained, full-time effort for the long haul, to actually win these changes. You must plan way ahead if you want to see victory. Good luck. No matter your past record, or your history...in THIS situation, at THIS time in America's story, you stood brave and did what so many are afraid to do. For this you have my support and respect. You are a true hero. Very brave. I will continue to contribute to Standing Up For Ramsey fund. God Bless you and your family. I can't believe that this is still hanging around Ramsey's neck. Besides defending him, I hope you can find a Pro Bono lawyer to sue for damages--loss of income, etc. If he hadn't had the nerve to video the death of Mr. Garner, he wouldn't have gone through this mess. The NYPD isn't fooling anyone! Even their supporters know what is going on but stay silent to protect them regardless of consequences to Garner's family, Ramsey and his family. Protect and Serve.......WHO? Ramsey Orta is a hero and we have to all stand with him. Let us try to do an even better job of publicizing protest actions defending Ramsey. People all over the city would like to attend if they only knew about the actions. The actions need to be large and send a powerful message that we want Daniel Pantaleo prosecuted for first degree manslaughter, Justin Damico and the other cops who participated charged with felony murder, and Patrich Lynch and William Bratton prosecuted for obstruction of justice and all of these men convicted and sentenced. They need to be an example that we are not going to tolerate cop killers!! The police is provoking a race war knowing we can't win. That's when the real massacre will begin. Not to worry....we got your backs ! First sign of trouble please let me know. REMINDER - Organize NOW To DEFEAT DA Daniel Donovan for CONGRESS. Do NOT Let Him Win As The Polls Have Him Being Elected. STOP DONOVAN FROM DOING MORE HARM TO OUR NATION! Michael Schwartz...thank you brother! $800 wow! Some people are on here trying to give English lessons, correct you, or take this opportunity to say negative things about you. Please ignore them. You are my hero. We all owe you for your courageous deed. You are an example of how using your rights and standing up to the injustices of the system can reach far and wide. THANK YOU!!! I do support you, but can you explain to me what these words mean? "to stand by him threw his ugly against NYPD and this corrupt system" - I think you mean "through" but the rest of the sentence is confusing. I hope a large number of people show up May 28th to support this brave young man. Many blessing to you and your family Mr. Orta. 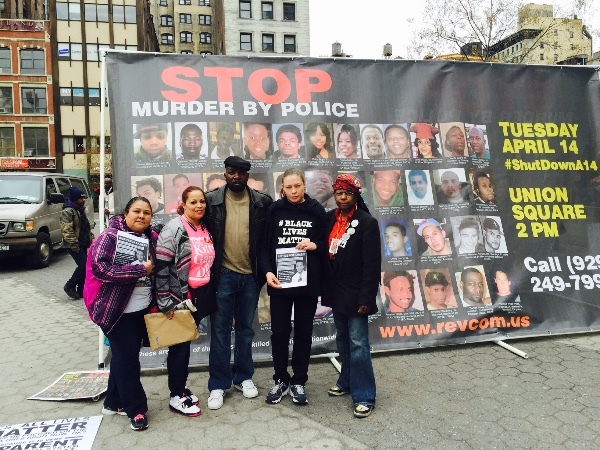 Welcome Ramsey, and thanks for your courage in the Eric Garner case. Welcome home, its where you belong. America loves you and what you did. Your a brave young man and PLEASE stand strong , don't be afraid of being who you are. I lost my son 11 months ago at the hands of police, we are fighting the same fight as Erics family and I could only wish I had somebody like you in our corner that filmed it. your a true hero in my eyes.....big hugs and much love to you! Hero! Glad you are out and safe at home, my prayers are with you, stay strong, sir! Glad to hear that Ramsey is home and safe. We need more like him who has compassion for JUSTICE and HUMAN life as he has shown. You know, This was the right thing to do, and to Judge someone by thier past actions does that make them the person they are today, are any of us perfect. Did we do thing. in our past we shouldnt have.. sure.. who are we to JUDGE ANYONE, so take this brave corageous act he did and maybe it changed him for the better, so tired of people judging others..
Btw, I am happy to have supported you here, to have been a part of your crusade to expose the NYPDs obvious illegal atrocities and activities. Fight on!!! Happy you are home. I hope this support places you on a path of positivity in your life going forward. NY life is tough on us at times. There is more out there. Write a book. Continue telling your story. I wish my campaign for my business start up receives a fraction of this assistance. Much luck. Know that you being supported from all realms including those we cannot see, love to you.